Desert & Delta Safaris has great pleasure in announcing that construction of the new Camp Okavango is now complete and we welcomed our first guests back to our Okavango Delta paradise on Nxaragha Island on the 14 April 2016. Having hosted travellers to the Okavango Delta for over 35 years, in November 2015 Camp Okavango said goodbye to its last guests and made way for the new Camp Okavango which promises to continue the traditions for which the original camp is renowned only now from a newly designed eco-sensitive camp. The rebuild of Camp Okavango took a total of 5 months which began with the complete removal of the original camps infrastructure. The new camp has moved to the edge of the Nxaragha Island to take advantage of the impressive Delta scenery but kept within the original camps general location to ensure there was minimal impact on the environment during construction. In keeping with our sustainable tourism objectives, Camp Okavango has been built using a variety of modern, non-invasive, building techniques. Along with the eco-friendly design of the lodge, it is now run entirely on renewable solar energy. The seventy kilowatt solar power plant provides the camp with twenty four hours of clean, green energy. In addition to this initiative we have further reduced the impact on the environment by installing a state of the art water treatment plant that can provide approximately 20 000 litres of environmentally friendly waste water a day. This water is now used to irrigate the camp environment as well as Camp Okavango’s private grass airstrip. Previously this water was extracted from the Delta, but with this new technology it is now pumped into our irrigation system to maintain the natural grass surfaced airfield which guests use to access the lodge every day. Perfectly poised on the edge of the Nxaragha Island, Camp Okavango’s expansive main area has been built on elevated wooden decks with interconnected walkways linking the two lounge areas, dining room, library, self-service bar and curio shop. In front of the thatched lounges sweeping ramps lead to the lower decks with two open-air fire pits and comfortable seating areas to relax and take in the natural surroundings. There is a third deck which leads off from the main area into which hosts a secluded rim flow swimming pool and thatched lounge for those warm summer days. Camp Okavango has twelve rooms, accommodating a maximum of 24 guests in eleven intimate safari suites and one family suite. 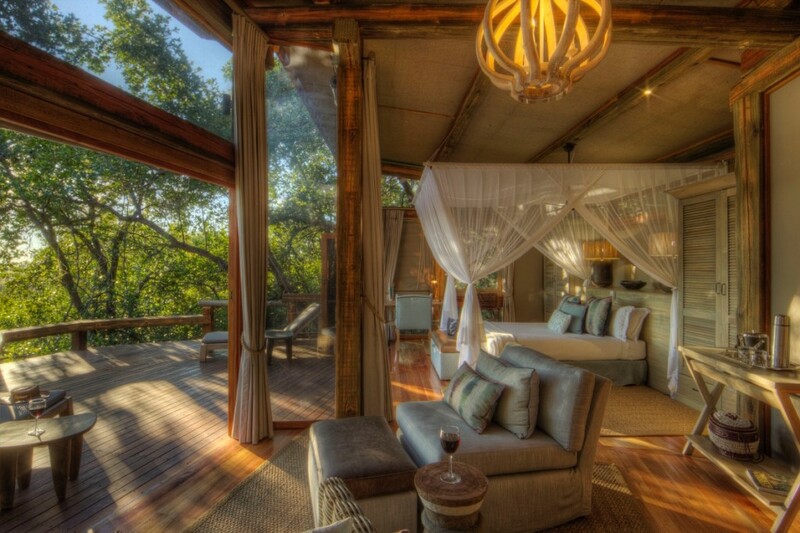 All rooms are on elevated wooden platforms and are connected with the main lodge via a wooden walkway. Each of the guest rooms have been carefully placed beneath the natural Okavango Delta vegetation offering impeccable views over the Delta. Inside, the expansive open-plan rooms have a bedroom (double or twin configuration), lounge and en-suite bathroom. The en-suite bathrooms have double vanities, double shower and a separate water closet. Through the large stack away sliding doors the rooms open onto a private viewing deck from which to take in the spectacular scenery. The new family unit incorporates two separate bedrooms both with en-suite bathrooms with inter-leading doors for easy access between the rooms. With the inclusion of a family room, Camp Okavango now forms part of our new Ultimate Family Safari Packages which offer families the opportunity to experience the diversity of Botswana on an easy to book and flexible itinerary. More information on our Ultimate Family Safari Packages can be found on our website. With its location deep in the heart of the Okavango Delta, Camp Okavango focuses exclusively on exploring the natural wonders of the Delta. Our experienced guides take guests out to explore the intricate waterways of the Delta from the comfort of a modern motorboat or the old-fashioned way, in a traditional mokoro (dugout canoe). For those eager to get closer to nature, guided bush walks are conducted on the many nearby islands, offering an opportunity to track some of the larger land-based species that inhabit this water wilderness. Recognised as a UNESCO World Heritage Site, The Okavango Delta is one of the world’s last true remaining wilderness regions. The new Camp Okavango allows visitors the opportunity to truly immerse themselves into this water wilderness environment from a modern eco-sensitive camp which exudes the traditions of the original Camp Okavango and Desert & Delta Safaris. Meanwhile on the Chobe Deck of Fame…join us LIVE! 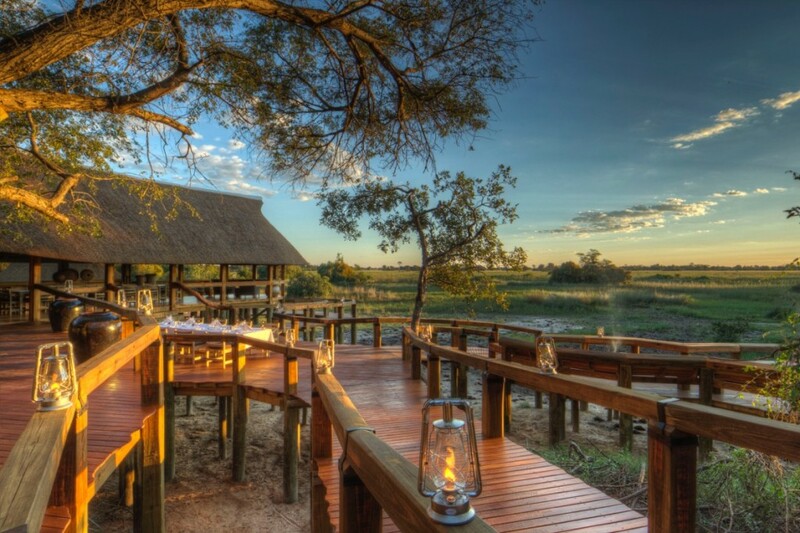 Those of you who have visited Chobe Game Lodge before will know what a remarkable spot the Chobe Deck is. Well over 200 meters of raised boardwalk following the Chobe River’s edge culminate to what has become otherwise known as the Chobe Deck of Fame. This eastern facing deck overlooks arguably the highest concentration of elephant herds in Africa with stunning views across the Chobe River and floodplains. You can now tune in ANY TIME by accessing our webcam link online. Don’t forget the tag #ChobeDeckofFame. What makes Desert and Delta Safaris unique is that our properties in Botswana are strategically located within the key wildlife areas of Botswana. A combination of these areas allow for quite possibly the best safari circuit within the destination. All our properties are common rated and we offer a long stay NET rate structure applicable to any of our properties within any one booking. Another key advantage to the Desert and Delta Safaris circuit is the fact that every property is completely different to the next. We have specifically avoided using the same building styles, furnishings, decor and even cutlery and crockery for a reason. Every destination should be experienced for its own merits and atmosphere and although our high service levels are maintained throughout all of our properties, the physical lodge or camp experience is different.